Over the last few years, I have been discussing the lucrative area of diamond investments, specifically about investing in fancy color diamonds. If you have been reading my articles, you would notice that it seems that I always find an angle to justify buying a fancy color diamond rather than other luxury collectible passion investments. Why is that the case? There is always room for critique and improvement, as there is always room to diversify one’s investment portfolio from the assets that they are already used to as an investor. An investor can no longer afford to rely on his or her “standard” portfolio diversification of stock and bonds like what was once the norm. Due to the markets underperforming in recent years, many investors have started to diversify their portfolio beyond the standard, investing heavily in works of art, diamonds, collectible cars and wine, among other “passion investments”. Why are they called passion investments? Can’t they be called by another name, one that does not imply that emotion is involved? After all, isn’t investing about hard facts and data, and not about one’s emotions? I believe that the answer to this question is quite simple. When considering buying the above-mentioned type of investment, the first thought that one considers is: “Do I like it?”, or “How will I feel owning this?”. This is very different than in standard investments such as stocks, bonds or even real estate, where there is not much feeling involved, but rather involves just simple and boring numbers. I am making this statement with all the respect owed to the old-fashioned investment, of course. If it wasn’t for these “old-fashioned” types of investments, there would not be as much wealth accumulated over the last 125 years or so, even if we account for the many recessions and market crashes during this timeline. Still, even though all passion investments are approached in the same way, they are by no means equal in their returns. If an investor has the means and interest to invest in any type of passion investment, it is worth evaluation them against one another to see which one is the most lucrative as well as profitable and “emotionally” appealing. From my beginnings in the diamond investment world, I have been tracking the performance of fancy color diamonds against other assets, and even against other passion investments. I like to quantify and track how profitable a fancy color diamond investment really is, and the best way to do that is to not only keep tabs on diamond prices, but also to keep tabs on other assets as well. Every so often I revisit the basics and add another element to my analysis. Since 2003 I have tracked other types of investments and have recorded the results in my famous “Stealth Wealth” articles, to which I just recently added the 2017 statistics. Last year, I wrote about fancy color diamonds facing off against other natural resources and commodities. Last month I decided to add another passion investment to my analysis on a permanent basis: collectible cars. Gathering this information was not a simple task, and the first analysis will be published shortly. Before I publish the analysis of Wealth Stealth which will include collective cars going back to 2003, I wanted to write an article discussing the major modern and popular passion investments. The data for the prices comes from the auction results of official auction houses such as Christie’s, Sotheby’s, Phillips and Bonham’s. Each one is a master in its own domain, having made world price records in various markets over the years. I wanted to analyze a single record in action for the purposes of this article. I chose the most expensive item in each of these passion investment categories. Since size does not matter to some, but does to others, I will address the passion investments in the order of record breaking price, starting from the most recent. If you ask anybody in the art world about the record that was broken recently, from the most knowledgeable person, to the oldest in the business, to the top 50 experts around the world, I bet you a dollar that none would have thought in their wildest dreams that it would sell at the price that it did. 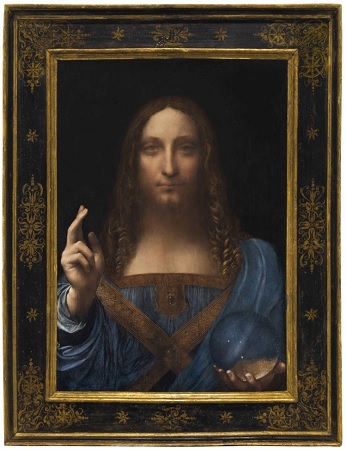 At the Christie’s New York Art auction on the historic night of November 15th, 2017, “Salvator Mundi”, the last Leonardo da Vinci painting to be held by private hands, sold for a staggering price of $450,312,500 including all fees. It is a 65.7cm x 45.7 cm painting. The bidding started at $90 million and within 19 minutes the bidding ended with the final offer of $400 million before any fees. 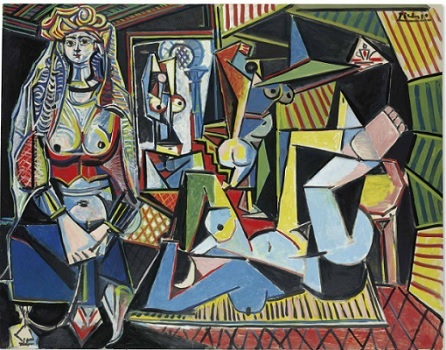 The previous record price for a work of art sold at auction was held by Picasso’s ”Les Femmes d’Alger (Version ‘O’)” which sold for $179,364,992 on May 11, 2015 at Christie’s New York auction, in the same room that da Vinci’s painting was sold 2 years later. 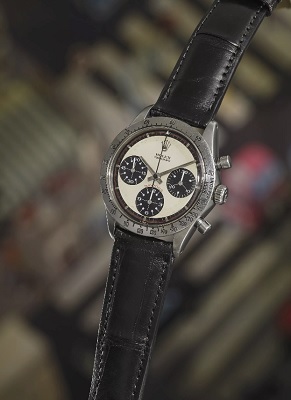 The most expensive watch ever to be sold at auction is the famous Paul Newman Rolex Daytona, which sold at a Phillips auction in New York on October 26, 2017. It sold for $17,752,500. The opening bid was just $1 million, followed by a telephone bid of $10 million. After just 12 minutes, the final bid was submitted and the hammer came down. 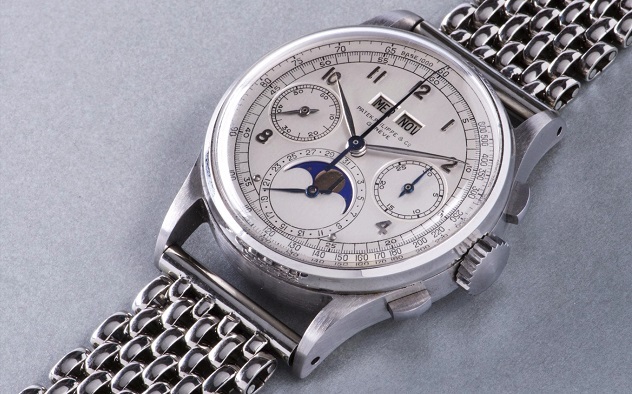 The crown was taken away from a 1518 Patek Philip (Model) watch in steel that was sold for $11.1 million in Geneva on November 12-13, 2016, also at a Philips auction. The bidding started at just over $3 million, and just over 10 minutes later, the hammer went down at $9.7 million before fees. 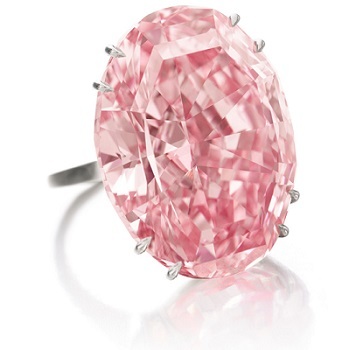 The most expensive diamond ever to be sold at auction is the famous 59.6 carat Fancy Vivid Pink oval shaped diamond now known as the “CTF Pink Star”. It was sold on April 4th, 2017 at a Sotheby’s Hong Kong auction for $71.2 million. The bidding took a mere 5 minutes, and the last bid was $63 million before fees. 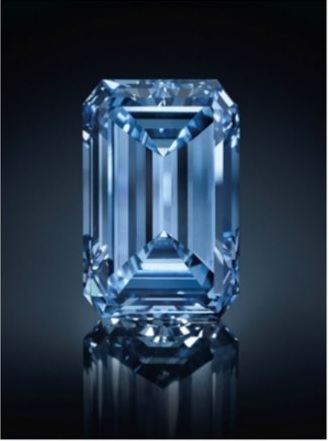 The previous auction record price for a diamond was the Oppenheimer Blue Diamond, a 14.62 carat Fancy Vivid Blue diamond that was sold at a Christie’s Geneva auction on May 18, 2016, for $57.6 million. 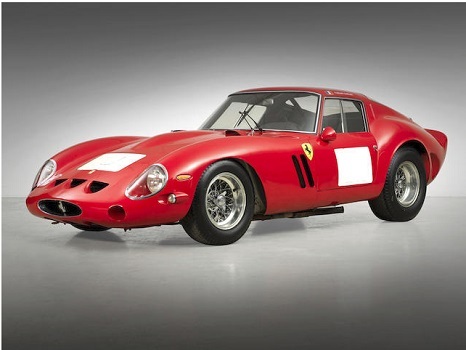 The 1962 Ferrari 250 GTO holds the current record for the most expensive car ever to be sold at auction. It was sold for $38,115,000 on August 14, 2014 at Bonham’s, The Quail in California. 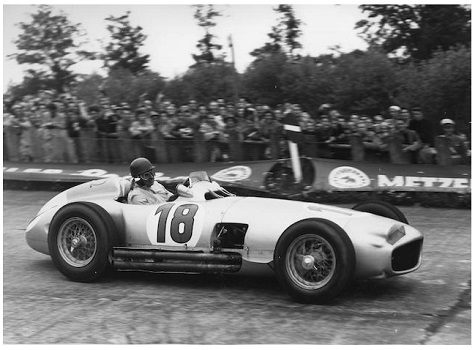 The previous record for the most expensive collectible car was the 1954 Mercedes-Benz W196 sold by Bonham’s, at the Goodwood Festival of Speed in 2013. It was sold for $29.6 million (although the second most expensive car was sold in 2016. It was a 1957 Ferrari 335 Sport Scaglietti for $35.7 million, but we were looking at chronological order). The most expensive bottle of wine sold at auction is a 2015 Alexander Valley Cabernet Sauvignon named The Setting. It was sold at a charity auction for $350,000 over the first weekend of November 2017. The Setting breaks record for most expensive single bottle ever sold at auction at $350,000! The money went to a great cause! The Emeril Lagasse Foundation. @emerilorg @jkatzwine @thesettingwines. Enormous prices were paid for some very interesting alternative investments, each with appeal to different types of investors. The most important conclusion from the data is that real assets are gaining traction, as all the new records have been broken in 2017. While wealth accumulates globally, investors are being drawn to unique investments that are bringing in more serious results than traditional and familiar equity and debt investments. At the same time, these investors have the interesting additional added benefit that they can physically enjoy their investments. While you cannot quantify the enjoyment that you receive from an item that you have bought for enjoyment’s sake, when it is also an investment, the ROI is suddenly real indeed. That is what truly sets apart a passion investment from a standard investment. If an investor has the means, liquidity and desire to diversify into an alternative asset, it can have an enormous positive impact on their portfolio. Got any questions about alternative assets and the prices that they earn? Ask in the comments!